Do you want to know what your competition is doing? If you don’t, you should! We live in a very competitive online world and a successful strategic marketing plan needs to take into account what the competition is doing. 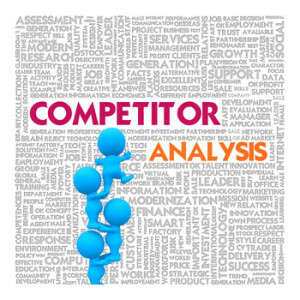 Knowing the strengths and weaknesses of your competitors is a powerful tool that can help you to succeed online. This type information will allow you to claim a larger portion of available customers. Shove can add to the knowledge you have already gathered about your competitors. We use advanced backlink discovery methods and industry analysis techniques to find what your competitors are ding wrong and more importantly what they are doing right. To Find those under exploited niches that you can leverage into and control. To help management understand their competitive advantages/disadvantages relative to competitors. To provide an informed basis to develop strategies to achieve competitive advantage in the future. Here at Shove Digital we have experience in market analysis and keyword research. We can drill down into a niche and find those hidden gems that will give you the edge over your competitors. Not only can we do this but we can teach you to do it also. We have our own in house niche analysis tools and are experts in a large array of third party tools. We can help you not only find those keywords that your competitors are not targeting but track down other forms of traffic with in your market and once again teach you to do it also. The competitive advantage that a good niche/market analysis can offer can be exciting and staggering at the same time, especially if you haven’t participated in this type of exercise before. Contact us and let us show you just how revolutionary this can be.